Forensic Science – Briefs for the Legal Practitioner summarises the various forensic science disciplines and aims to help legal practitioners, investigators, students, and the general public understand the strengths and limitations of each discipline. 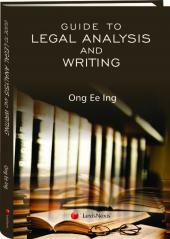 This book provides answers to the following questions: - What is each forensic discipline about? What are the key concepts and scientific terminologies? - How does each discipline assist in investigations? What is the value and significance of the evidence? - How is evidence examined in the forensic laboratory? What are the methodologies, procedures, protocols and quality processes? - What are the challenges encountered in forensic analysis and interpretation? Case studies are used to illustrate the use of forensic evidence and the value it adds to investigations. 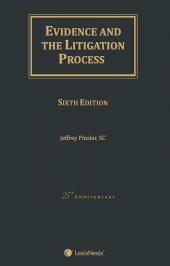 At the end of each chapter, ‘Information for Court Preparation’ is provided as a check list for legal practitioners. In addition to specific forensic disciplines, chapters on “Quality Management” and “Forensic Ethics” provide insight into the quality standards for the forensic laboratory, and the code of ethics and conduct that governs every forensic personnel. Lessons gleaned from hindsight of grave consequences resulting from failure to adhere to these foundational and guiding principles are highlighted through various overseas and local case studies. 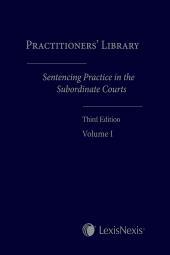 Lastly, the chapter on “The Forensic Expert Witness” expands on the role of an expert witness and how the expert can better assist the legal practitioner in case preparation and proceedings. The Forensic Experts Group is a team of accomplished forensic scientists who were former leading forensic scientists in a government forensic laboratory (Health Sciences Authority, HSA) in Singapore. We are combining our many years of specialised knowledge, unique experience and skillsets to deliver high quality forensic services both locally and overseas. The H.E.A.R.T of our independent enterprise is to relate to people with Humility, conduct our business with an Enterprising spirit, be Aboveboard in our words and actions so as to provide Reliable forensic services, and establish Thought leadership in forensic science.